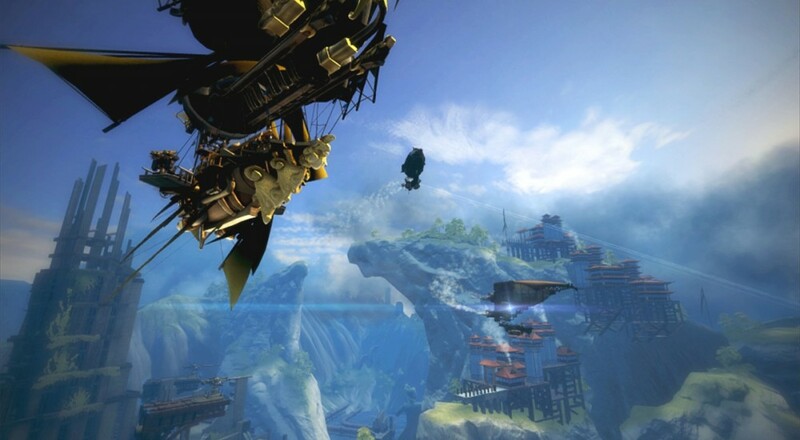 Alliance, you may recall, is the co-op focused expansion to Guns of Icarus Online, a game that was primarily competitive. Rather than players shooting their ships at each other, in Alliance 1-4 people can run a ship together and combat AI-controlled ships. Much like the Left 4 Dead games, Alliance employs an AI director, which provides a dynamic experience. This director controls things like when and where enemies will respawn in addition to studying and reacting to the human players. On the numbers side of things, Alliance will offer 7 modes of PVE play. Across these modes, players will encounter 8 completely brand-new ships that were specifically designed for cooperative play. There are 2 planes for each faction and 4 boss ships. Based on the mission and mode, anywhere from 1-16 players will be battling it up against these AI-controlled ships, planes, and boss ships. For example, various missions may support 1 (1-4 players), 2 (2-8 players), 3 (3-12 players), and 4 (4-16 players) ships, requiring at minimum one human player per ship. 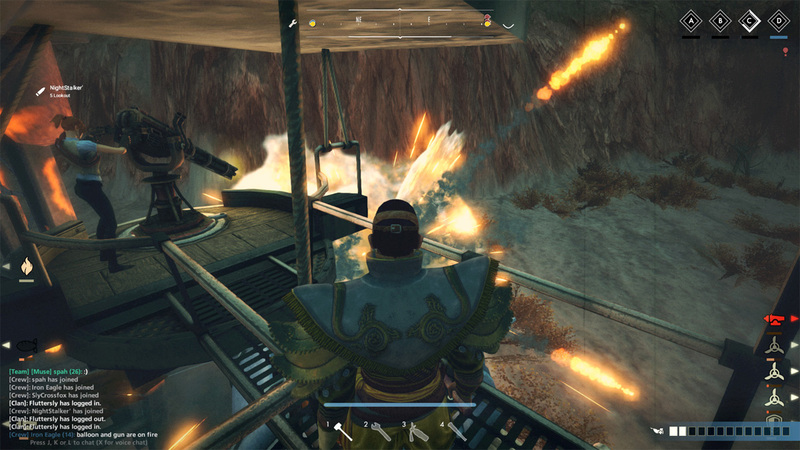 The most epic missions will have 4 airships each manned with 4 players duking it out against the AI director. On each ship, players will have to coordinate their efforts to take down their enemies while not being taken out themselves. 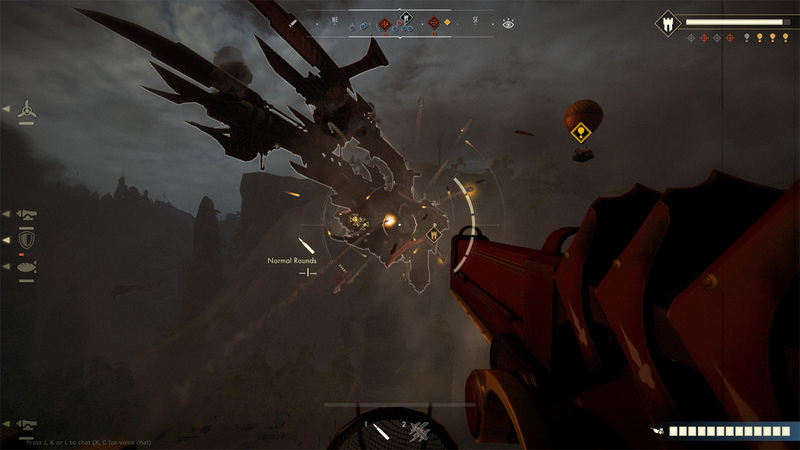 Different players will take on different roles, such as maneuvering the flight-path of the airship, or gunning down enemy planes. If you find a particular mission too easy or hard (perhaps depending on how many players you have for the mission), you can tweak the difficulty across 4 difficulty settings. If you’ve played Guns of Icarus Online before, there will be a whole lot of new stuff to explore beyond cooperative play. Alliance introduces a new ability system, which was previously unfeasible for competitive play due to the desire to keep everyone on equal ground. One ability projects a huge shield over the airship, an ability that Howard told me would be frankly game-breaking in PVP play. Abilities aren’t the only way to progress your character, however: Alliance also introduces a brand new faction system. After picking a faction on character creation, players will gain individual progress by going on cooperative missions. They’ll gain things like titles, cosmetics, and ship ranks specifically tied to their chosen faction. There will even be a faction leader board where whoever’s at the top can make global decisions for that faction. Don’t worry though: players of different factions will certainly be able to play together with no penalties. Guns of Icarus Online has been around for a while now (since 2012), and it’s certainly growing and changing to new heights with Alliance. 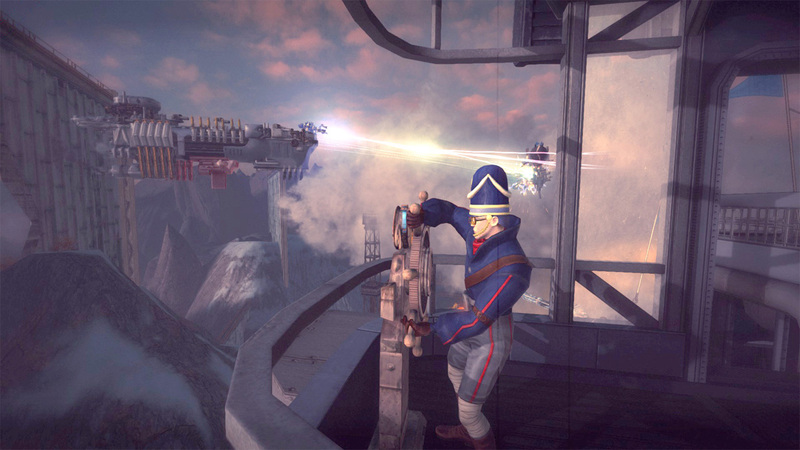 Howard spoke about how one of the greatest challenges Muse Games has faced was creating a new game (Alliance) while still supporting the old game (Guns of Icarus Online). It’s quite admirable that they’re so dedicated to their players, as it’s fairly common these days to see support for a game drop off after a year or two. Guns of Icarus is getting close to five years old now, and there’s no sign of Muse Games stopping support. In fact, they have big plans to support and grow this expansion in addition to their core game. Following Alliance’s release, Muse Games is planning to release new content every month focusing on the faction system. Refusing to leave their PVP community in the dust, they already have plans to bring factions (in some separate form) to PVP as well. Guns of Icarus: Alliance releases March 31st, 2017 on PC. It will require a copy of Guns of Icarus Online to play and will support up to 16-player co-op (depending on the mission).